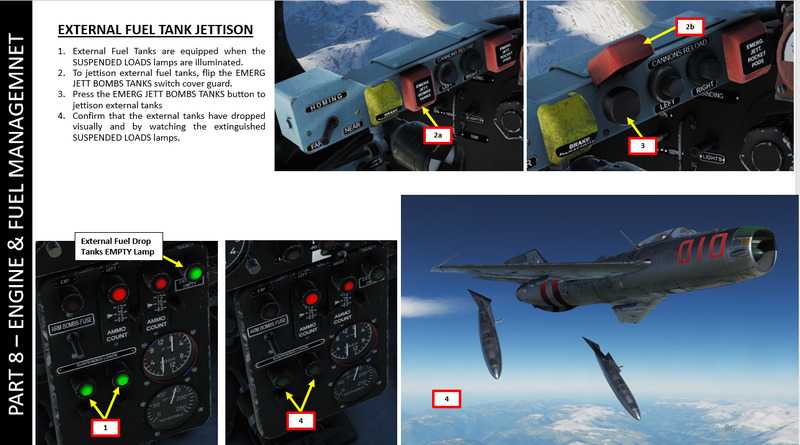 ED Forums » English » Licensed Third Party Projects » RAZBAM » MiG-19 Farmer B » Jettison Fuel Pods? Sorry, must be a dumb question, can’t find it anywhere on the forums. I don’t know how to jettison my external fuel pods, I am hoping to get an answer before digging into the manual. Manual page 71, point 3. Thanks so much mate! Love your guides. Is the guide still wip or is the file available? The guides are all awesome. Will be available shortly. It's 99 % done, only missing three minor items. Thanks for the great work, looking forward to it. I'm going to buy the MiG-19 during Easter Holidays. Charly Owl's guides are the best. I'm going to ask him to do one for my TV remote. -- English (US) -- Russian (RU) All times are GMT. The time now is 08:02 PM. vBulletin Skin by ForumMonkeys. Powered by vBulletin®.